Social media marketing is an art form that many don’t understand. There’s so much that goes into a post or a content calendar. This includes what size images you use. Your company logo acts as your profile picture for your LinkedIn Business Page. It’ll sit at the top of your business page and come up in relevant searches. The maximum size your logo image will need to be is 300 pixels x 300 pixels. You don’t want it to be too detailed and it must be easily recognizable because it will be scaled down to fit in searches. It’s recommended that you use 1536 x 768 for this image. It’ll be scale down to 1400 x 425 but the higher sizing allows for any larger screens that your page may be viewed on. If you’ve created a separate tab on your profile careers then you’ll need a hero image for it. If you want to add an image to your LinkedIn update then you want to work with a 1.91:1 ratio or an image of 1200 x 627 pixels at max. For more information on sizing for your LinkedIn Company Page see the LinkedIn Help section. The optimum image size is 1,500 x 500 pixels, with a maximum file size of 5MB. Anything larger will get cut off and anything smaller risks being stretched. This is the image you share when you publish a tweet. Remember, with each tweet you can attach up to 4 photos! Many people work to the size of 1024 x 512 pixels because that’s the maximum size you can get when you expand an image on Twitter. However in the newsfeed, the minimum size that will display properly is 440 x 220, a 2:1 ratio of the expanded maximum size. The minimum size you can upload for this 250 x 250, surprisingly you can upload some pretty big image files for this tiny space but is it really necessary? Like most other social platforms, your cover image is the biggest on the page. The recommended size for this platform is 1080 x 608 pixels. This is the same size as the header you would use on your personal account, 820 x 312 is the ideal size. If you create anything smaller Facebook will stretch your image to fit the space. This is the image your brand shares with the audience in an update. The maximum size you need for your image to be is 1,200 pixels x 630 pixels. It’ll be scaled down by width depending on where you see it. It’s good to remember that when creating images for Instagram you can also upload a rectangle image. If you’re working on square or rectangle images consider working to the aspect ratio of 1.91:1 and 4:5 ratio. 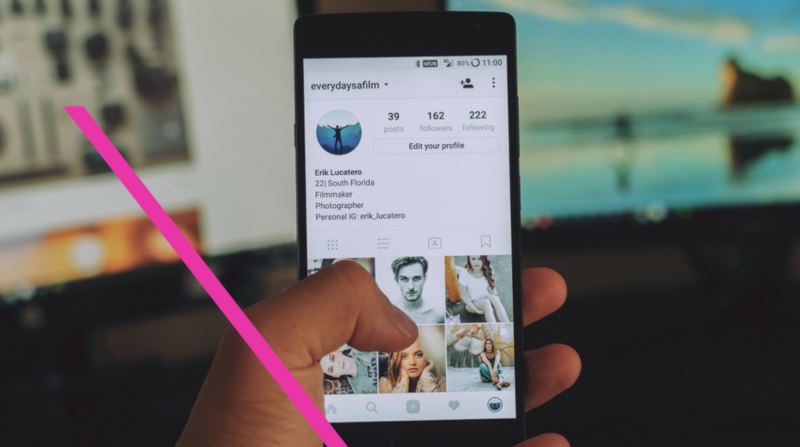 As each platform is known for regularly modifying their layout and image sizes, we will keep this post up-to-date with the relevant information you need on creating the best imagery for your brands’ social presence.